Earn 2.15% - 4.30% on savings and up to 2% cashback on debit. No fees or minimums. Join nearly half a million who are getting rewarded & building savings. Why not get rewarded for banking? Earn money on both your checking and savings account, regardless of your balances. Get a 24/7 Financial Assistant. And never pay any fees, ever again. 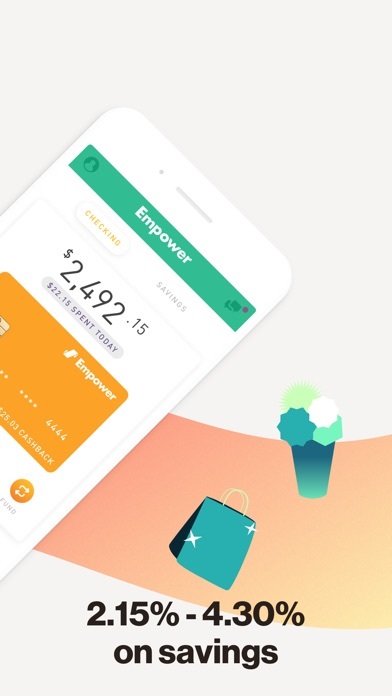 Featured by Apple as “New Apps We Love”, The New York Times, Time, and Forbes, Empower’s no-fee mobile banking is easy to use and unmatched in its rewards. Accounts are FDIC-insured up to $250,000. It takes only 3 minutes to sign up for Empower banking. 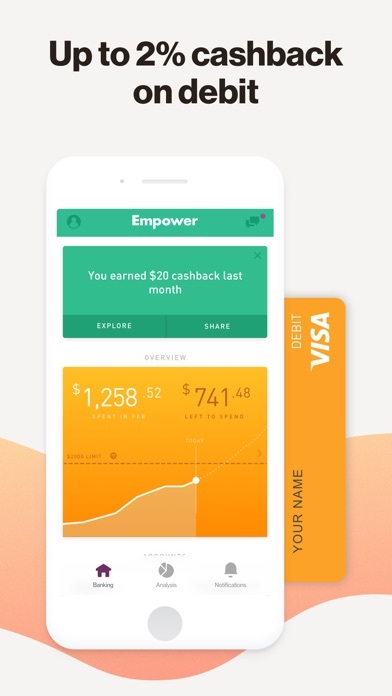 You get: * Checking account with up to 2% cashback on debit * Savings account earning 2.15% - 4.30% * A 24/7 AI-powered Financial Assistant * Instant push notifications for all debit card transactions * Seamless budgeting * Get 30 days of Rewards Boost for referring friends. Get an extra 1% cashback on debit and an additional 2.15% per annum on your savings on top of the standard 2.15% APY! Talk about unmatched rewards! * No fees * No overdrafts * No foreign transaction fees * No minimum balance requirements * FDIC insured up to $250,000 * Network of 25,000+ free ATMs * One free out-of-network ATM reimbursement per month, anywhere in the world! 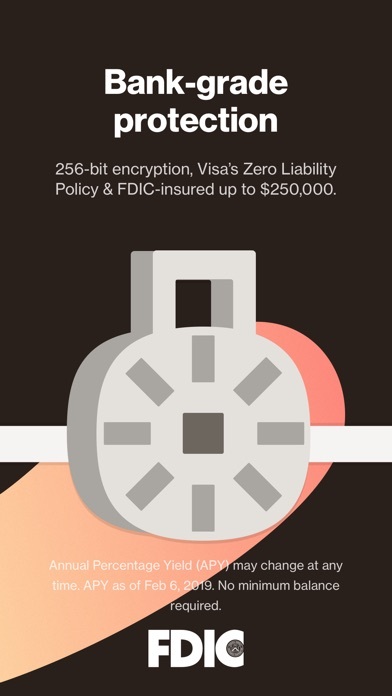 * Apple Pay support * Protection from unauthorized purchases through Visa's Zero Liability Policy IN ADDITION, GET EMPOWER'S 24/7 FINANCIAL ASSISTANT FEATURES: * See all of your accounts in one place—including bank, credit card, loan, retirement, and crypto * Protect and improve your credit scores by monitoring your credit utilization * Track your spending and get insights into where it’s going * Create budgets, including being notified when you’ve spent too much on coffees this month * Save money by cancelling subscriptions or asking us to negotiate cell phone/Internet/cable/home security bills * Refinance your debt by accessing low-interest loans, even without a great credit score * Check your balances and transactions on your phone—anytime, from anywhere * Have a pair of eyes on your money 24/7, alerting you of anything unusual * Chat with a personal finance coach about your money questions EMPOWER’S STATE-OF-THE-ART SECURITY FEATURES INCLUDE: * Empower uses bank-grade security measures like AES 256-bit encryption, multi-factor authentication, PIN code, and Touch ID to protect your account. * Your personal information is fully encrypted using SSL. 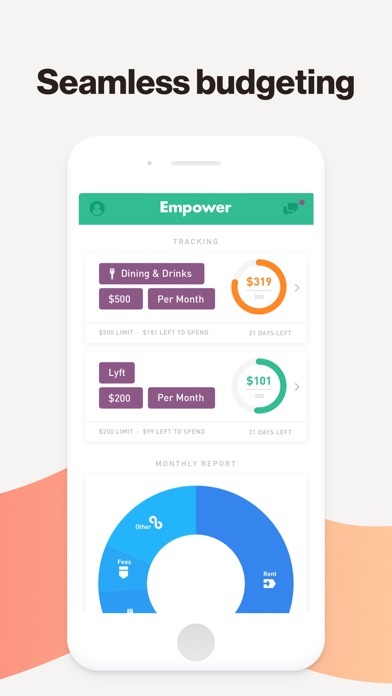 HERE’S WHAT OTHERS HAVE TO SAY: * Forbes: “The app will let you renegotiate big bills you didn't even realize you could reduce.” * Time: “Get some help cleaning up with Empower, a new money management app designed to help you make sense of your financial life.” * The New York Times: “Empower focused on “finding” people savings by analyzing their accounts and suggesting higher-interest savings, lower-interest cards, and subscription cancellations.” The Empower savings and checking accounts are opened and maintained with, and the Empower debit card is issued by, Evolve Bank & Trust, member FDIC. 4.30% per annum = 2.15% APY + 2.15% per annum Boost for one month per referral. No fees, No minimum balance. 2.15% Annual Percentage Yield (APY) may change at any time. APY as of Feb 6th, 2019. Earn 1% cashback on the first $1,000 each month. Earn an additional 1% cashback on the first $1,000 for each referral period. Good concept but abysmal execution. I had a terrible experience trying to fund my account and getting Customer Support. Basic inbound transfers (from Citi at least) that other services easily execute don’t work here, and some prominent menu options (e.g., external transfer) don’t work — not even a pop up message, just nothing happens. The UI is not very intuitive and it’s hard to find certain common functions, like requesting help. Support documentation is poorly written, CS agents are never online and when they are they are not very knowledgeable. All in all, they should’ve done more user testing before releasing this to general availability. I deposited money like a week ago and It’s STILL PENDING , I’ve never had this problem before with any bank or app like this one, ITS LITERALLY A BIG WASTE OF TIME!! Horrible service not worth your time Chime is far better nothing but lies with this company!!!! The Easiest Most Beneficial Bank Yet! The customer support is awesome! 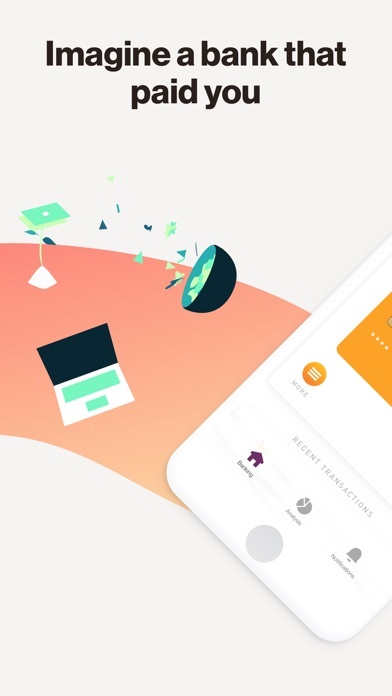 When are the mobile deposit features coming? 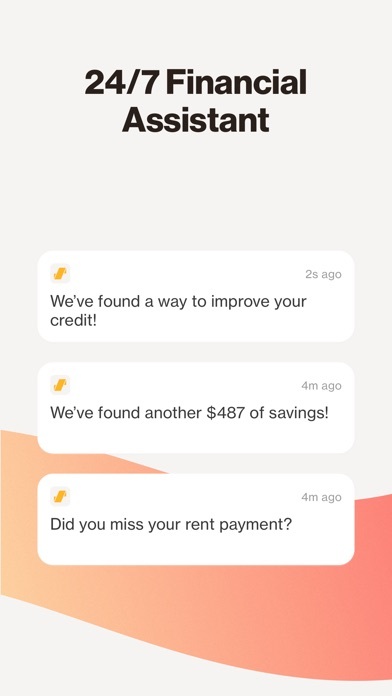 I got this app to help kind of keep track of money and what not, blah blah blah I linked my bank to the app and the numbers have been frozen ever sense I got it, it never updates or syncs. So I try to go and delete my bank for the app and it doesn’t delete. I’ve been trying to delete my bank for over a couple days and it always says cannot connect to server. I finally just went in a tried to delete my account period and it won’t delete my account even. When I go and try to contact there support they never answer. Soo just in the case that empower sees my review..... you better get back to me and figure this crap out. It’s sketchy when you link personal info like bank accounts to an app and the app won’t let me delete it.